“God said to Moses, ‘I AM WHO I AM.’ And He said, ‘Thus you shall say to the children of Israel, I AM has sent me to you’“ (Exodus 3:14 NKJV). That same God who created the universe spoke through the prophets to give messages to the people He created. This amazing God, that created the Milky Way, the mountains, and the seas, cared enough to communicate with us through gifted men and women who listened to Him. Moses was tending his father-in-law’s flock when he came upon a bush that seemed to be on fire. He saw that the bush didn’t burn up, and continued to burn long after it should have been a pile of ashes. His curiosity led him to approach the bush. When the Lord saw that Moses had come over to look, He called to Moses from the bush. 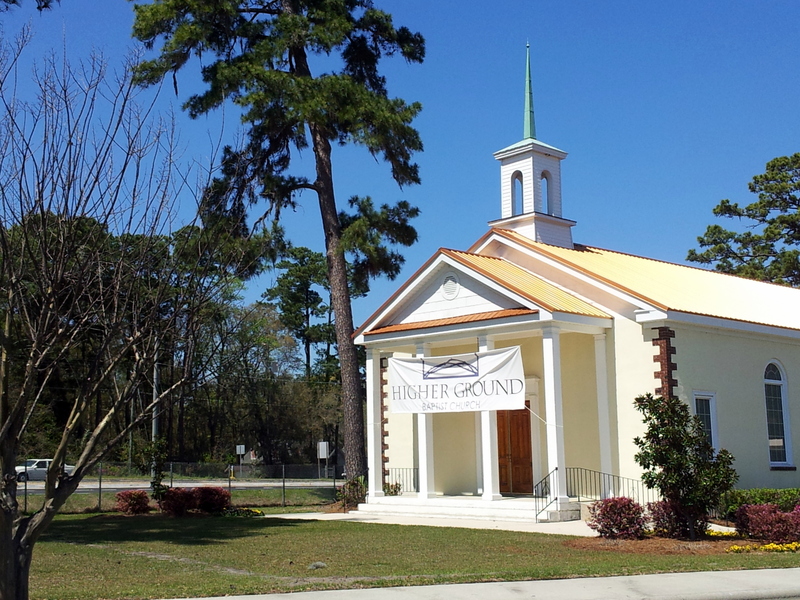 God told Moses to take off his shoes because he was standing on holy ground. Then the Lord told Moses He was sending him to Pharaoh to bring His people out of Egypt. Moses went into immediate shock and denial. He basically said he couldn’t do it and even if he tried, who would believe him? But God showed him that he could do it. Moses wanted to know how to answer the people when they asked about this God who sent him. And that’s when God identified Himself as “I AM.” He assured Moses and the people that “HE IS” exactly what they need in their situation and “HE IS” with them now and always. “HE IS” on their side. We as a people are so very special that God Himself, the Creator of the universe, not only sent Moses to free His people from captivity, but also identified Himself to us and the rest of the world. This is how He wants to be identified. “I AM.” That means “HE IS” now. The miracle is that God is with you right now. This devotional is an excerpt from The Miracle is You. 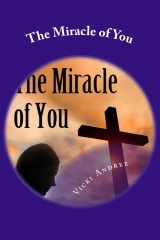 Click here to order The Miracle of You! Talk about finding a remote tourist attraction. I love the little out-of-the-way places with the big stories behind them. This is one from my childhood. Sioux Lookout is the highest point along the Platte River Valley. 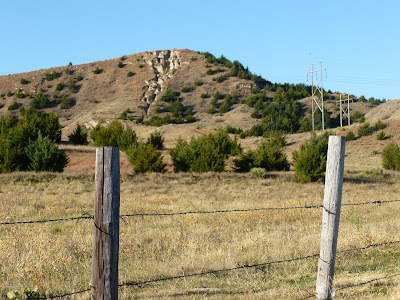 In the past it was used by Native Americans to spy approaching wagon trains. 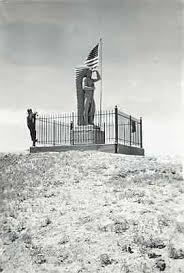 Before 2000 you could hike to the summit and stand in front of a commanding statue of a ornately decorated chief. 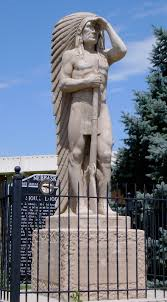 Sadly, the statue has been placed on the courthouse square in North Platte because vandals nearly destroyed it. Some fifty years ago I remember climbing atop the hill only to see that an arm had been torn off or the head had been damaged. I would return to see that someone had made attempts at repairing it over the years. I can certainly understand the need to bring the statue into safe harbor. The deep ruts up the hill are the result of thousands of visitors erosion by wind and water. Sioux Lookout, the highest point in Lincoln County, was a prominent landmark on the overland trials. From its lofty summit the development of the West unfolded before the eyes of the Sioux and other Indians. Trappers and traders came by here in 1813, the first wagon train in 1830, and the first missionary in 1834. In 1836 Narcissa Whitman and Elizabeth Spalding became the first white women to travel the trail. During the Indian War of 1864-1865, its prominence gave a clear view of troop and Indian movements below. 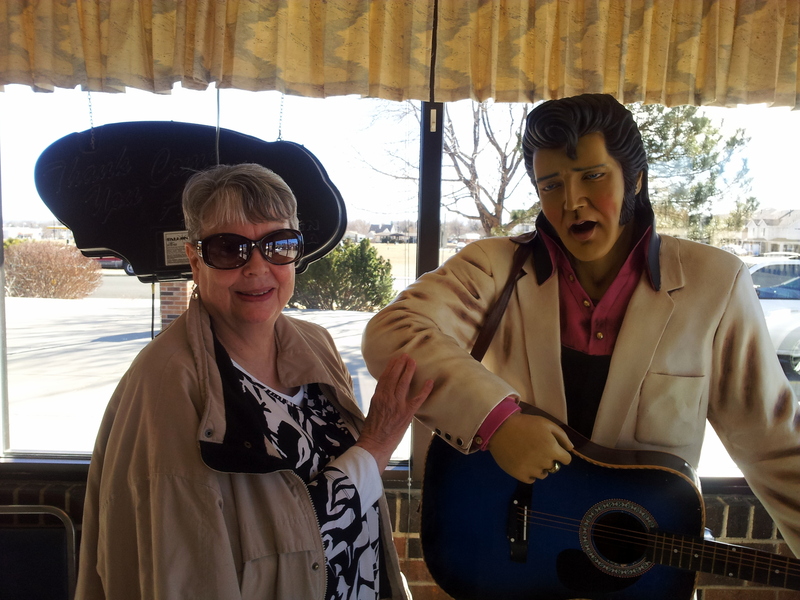 Giving Elvis a little advice! This should be easy! If you get it right I will send you a free copy of “The Miracle of You”, a forty day devotional designed to make you aware of just how much God loves you. The answer will be on next week’s post. “But as many as received Him, to them He gave the right to become children of God, to those who believe in His name” (John 1:12 NKJV). As far back as I can remember I knew Jesus existed. My family lived in a small town in Nebraska. We lived in a basement apartment with few extravagances. In fact, I remember my mother sewing cotton skirts for me to wear to school. On days when my sisters and I walked home in blizzards wearing our cotton skirts, we were frozen! My sisters and I shared the same bed until I was twelve years old. On cold nights we kept each other warm. Poverty can have a debilitating effect on a child. Once in awhile my mother would send me to the store because she was fixing our favorite meal – goulash! We always looked forward to that day. As I said, she would send me to the store—for a quarter pound of hamburger. How my mother fed a family of five on a quarter pound of hamburger is a mystery to me. Nowadays one can hardly order a hamburger with less than a quarter pound of ground beef in it. As children we used to say, we’re poor in money, but we’re rich in love. And to this day my siblings and I remain very close. Years later I realized how poor we were. We never got new clothes. We rode bicycles built from junkyard scraps. We made our own toys out of rocks and our imaginations. When things came up at school and our father couldn’t buy them for us, we did feel poor, comparing ourselves to the other kids. Then one day I realized just how rich I am. I received Him at a young age. And He gave me the RIGHT to become HIS CHILD! I am a child of God, the King, Creator of the universe! He’s my Dad and He owns everything. So there. The miracle is that you are His child. — from The Miracle is You. For more information click here. It’s at least a day of exploration, but well worth the time and energy. 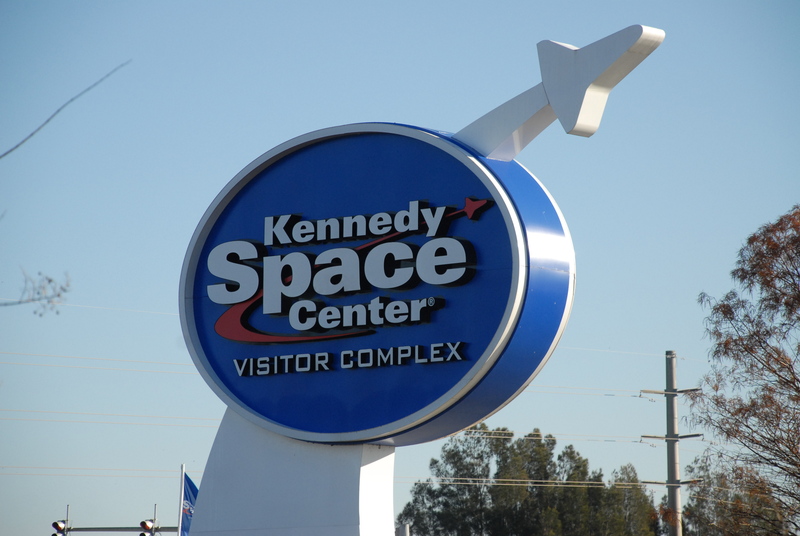 These NASA exhibits map the history of the United States’ space exploration. 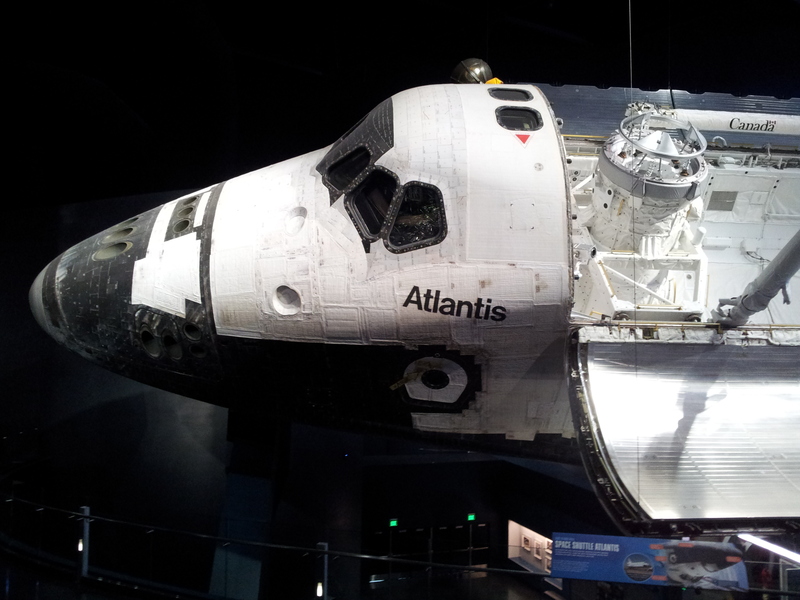 Not only that, you can actually sit in a mock – up of the Atlantis! 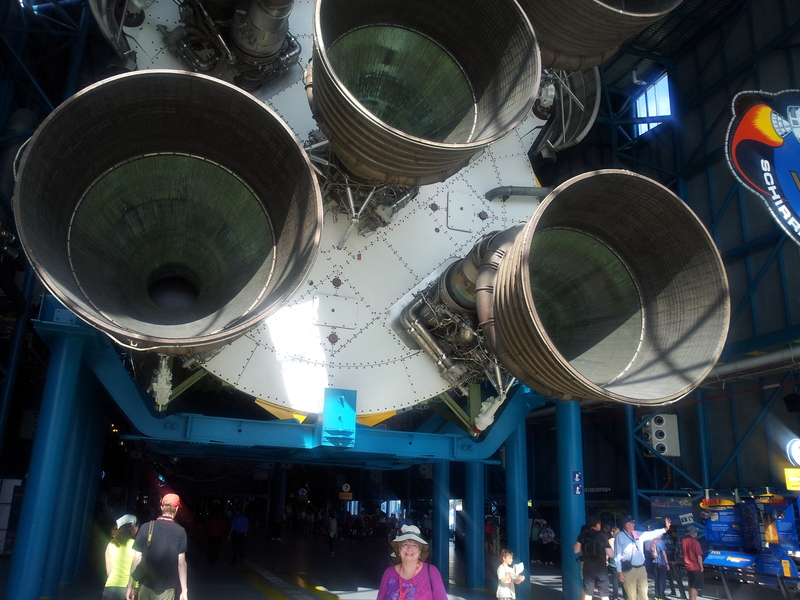 Most of us are amazed at the size of these rockets! 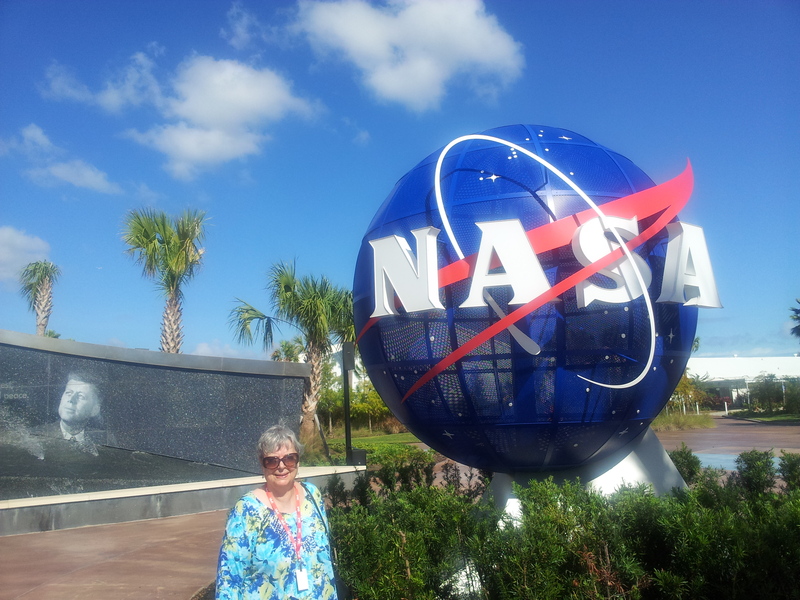 By the time you leave Kennedy Space Center you feel very patriotic. As I wandered through these exhibits, I couldn’t help but think of the extraordinary astronauts that first started us on this journey. I think of Alan Shepard who became the first American to go into space and return. I remember John Glen on his orbit around the Earth. Then Gordon Cooper circled the Earth twenty-two times while all of us held our breath for his return. That orbit was the equivalent of spending one full day in space. And I remember where I was when Neil Armstrong set foot on the moon! Donald ‘Deke’ Slayton was one of the original seven, but was grounded in 1962 because of an irregular heart rhythm. After that he served as NASA’s Director of Flight Crew Operations until March 1972. At that time he was granted medical clearance to fly, and was assigned as the Docking Module Pilot of the 1975 Apollo–Soyuz Test Project, becoming the oldest person to fly in space at age 51. That has since been surpassed by another of the first seven, John Glenn who flew at the age of 77. Then there was Scott Carpenter, who I had the pleasure of meeting only a few years ago. He was the second American (after John Glenn) to orbit the Earth and the fourth American in space. What a legacy he left. He was not only an astronaut, but an aquanaut, serving in SEALAB II. Walter ‘Wally’ Schirra was the first person to go into space three times, and the only person to have flown in Mercury, Gemini, and Apollo, logging a total of 295 hours and 15 minutes in space. 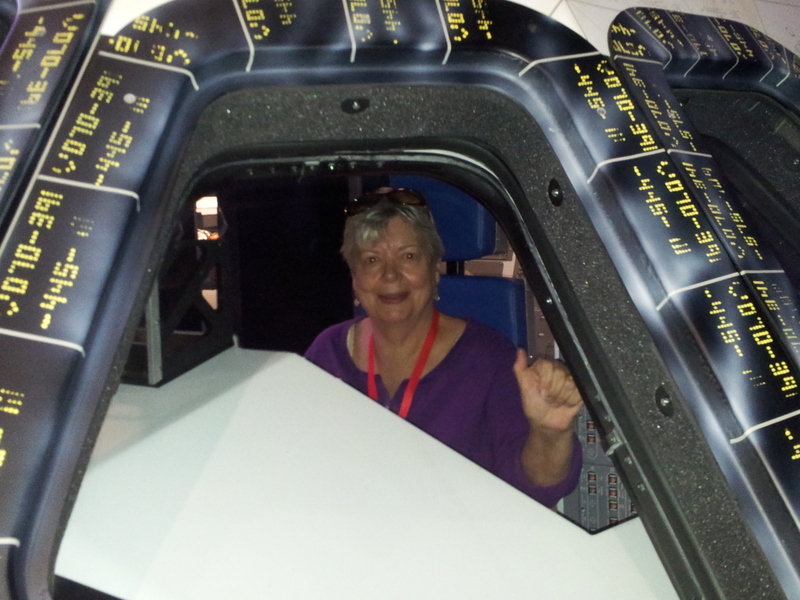 Finally, I thought of Gus Grissom, the second American in space and the first to make a second trip. He died on January 27, 1967, when fire engulfed his Apollo 1 capsule on the Launchpad. He and his two crew members were the first casualties in the U.S. space program. Each and every man that trained to be an astronaut knew he was risking his life as a pioneer in space. How I respect their determination and sacrifice. Just think of the many benefits we take for granted as a result of the space program. Ah, but that’s another blog! Viewing the beach from above. The Big Island has two active volcanoes, and as we have seen in the news lately, the island is still growing. Lava destroyed the town of Kapoho in 1960, and Kalapana and Kaimu in 1990. The television news gave us a glimpse recently of what it would be like to see a wall of hot lava creeping toward your home. Very scary! David and I found a quite beach side table and enjoyed the seashore. Of course I had brought my writing pad and couldn’t help but be inspired. 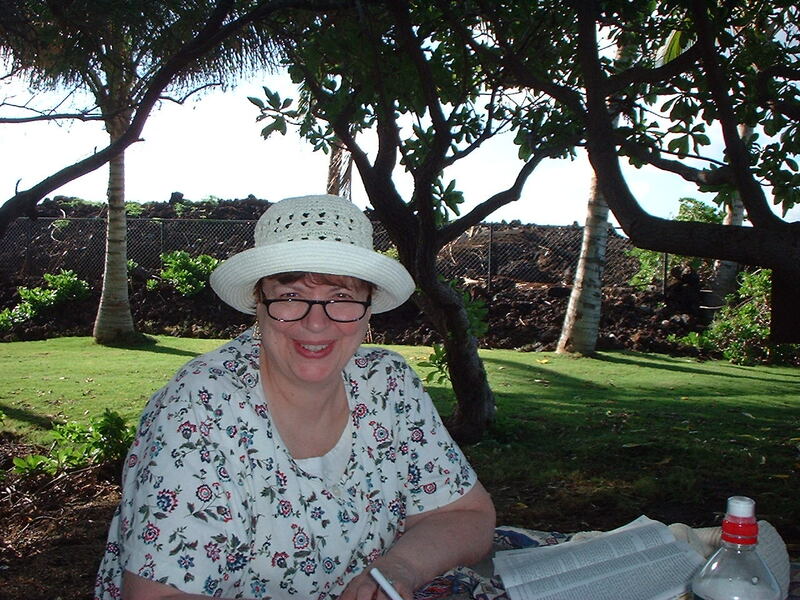 Many a tale has been written about Hawaii. Unfortunately, it took me a moment to recover from the shock of seeing a whale within touching distance. By the time I focused my camera the mom and baby had moved on, but I think I got a pretty good shot! 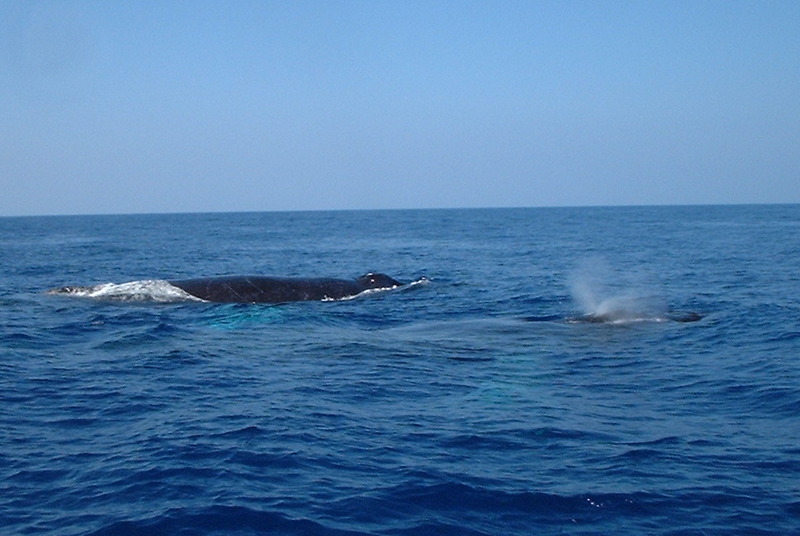 Click here to see some great whale watching! 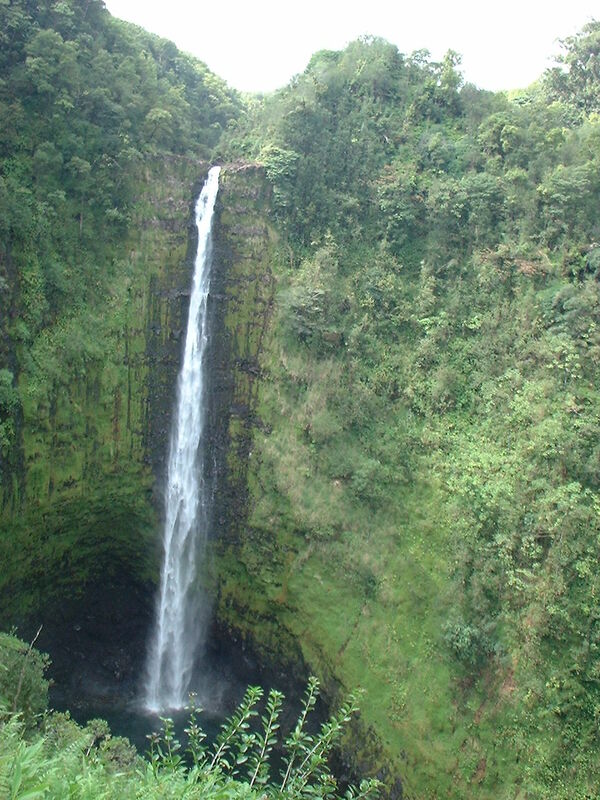 Amazing waterfalls on the big island. 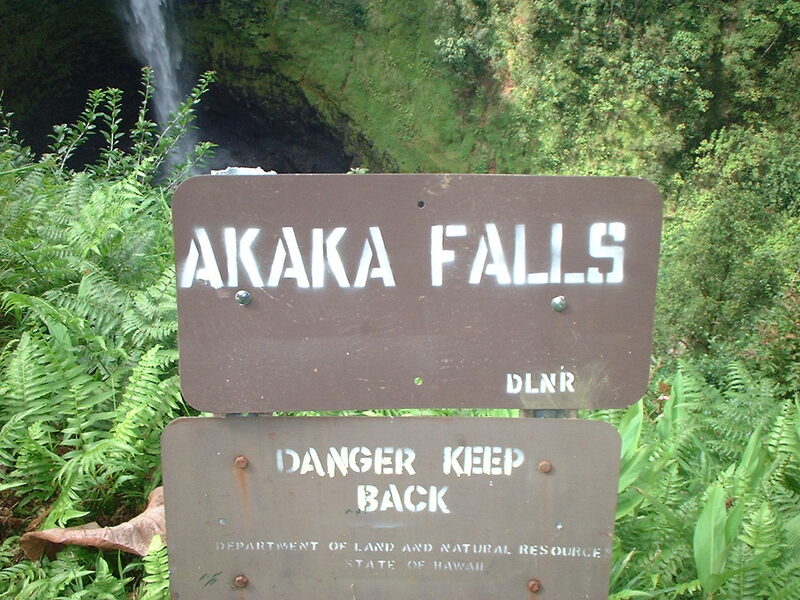 Akaka Falls is not far from Hilo, located just off the road, making it very easy to view. Be prepared to be stunned at the beauty. Niagara Falls is just a baby next to Akaka in terms of height! 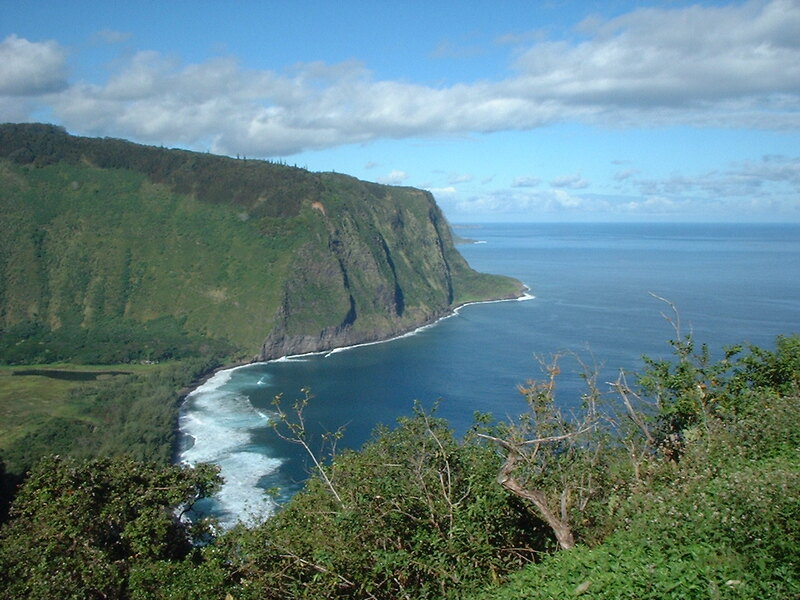 Instead of hunkering down for the rest of a miserable winter, grab a flight to Hawaii! Ha! That’s a nice dream for most of us. Maybe next year. When David and I were there in January, there was nary a snowflake in sight. The lush tropical landscape enchanted me as we walked through bamboo trees so tall that they dwarfed David. When we got to the falls we were told that the falls drop 442 feet, making them two and a half times higher than Niagara Falls. The trail takes about half an hour to walk in its entirety and it’s worth every step! Click here to go on a zip line over the falls!